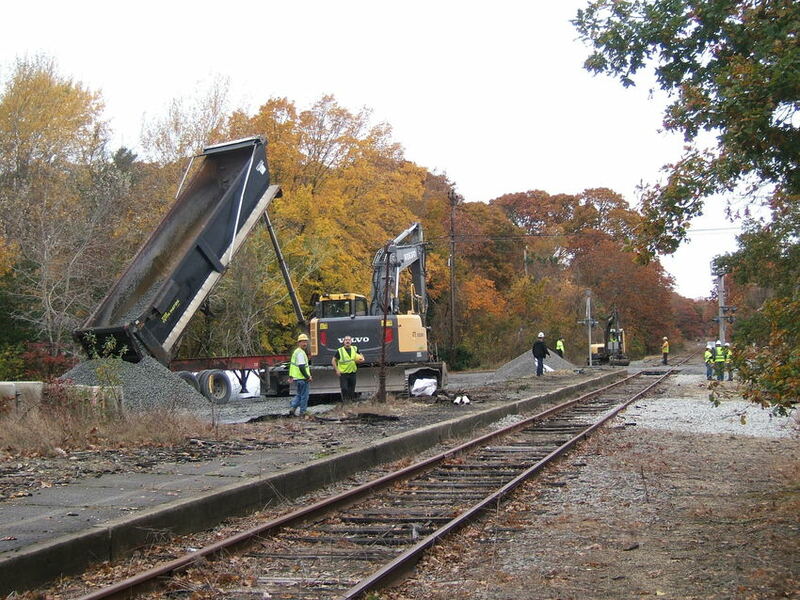 Falmouth Secondary line RR culvert replacement project underway with staging area being put in place next to Barlow's Landing RR crossing in Pocasset, MA . Culvert is in a wetland area down the line and all supplies are to be staged here then put on small rail cars to bring them to job site. Photographed by John A Speers, November 6, 2018. Added to the photo archive by John A Speers, November 6, 2018.